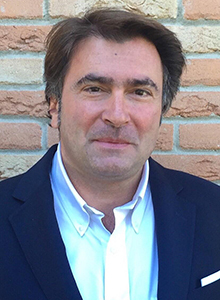 Jérôme Lassara is the VP Development at Accorhotels South Europe and a Board Member of Assofranching Italy and of EFF (European Franchise Federation). As a VP Development, he is in charge of the development of all AccorHotels brands in Italy, Greece, Malta, Cyprus, Spain & Portugal (Raffles, Fairmont Sofitel, So by Sofitel, Swissotel, Pullman, Mgallery, 25 hours, Mama Shelter, Mercure, Novotel, Adagio, Ibis family, Mövenpick Hotels & Resorts, Jo&joe) for all type of contracts (franchising, management, ownership). In the past he was the VP Development & Franchise at AccorHotels Italy, Greece, Israel & Malta (2013-9/2018), Managing Director of Novotel chain in Italy - AccorHotels Italy (2010 – 2012), Managing Director of Ibis chain in Italy - AccorHotels Italy (2002 – 2009), Development manager at AccorHotels Spain (1998 – 2001) and Development manager at AccorHotels Indonesia (Jakarta/Kuala Lumpur) (1994 – 1997). He holds an MBA in Hospitality Management from CORNELL/ESSEC (1991-1993) and an MBA major in Finance from PARIS, DAUPHINE University (1987-1991). He speaks French, English, Italian, Spanish, and Indonesian.